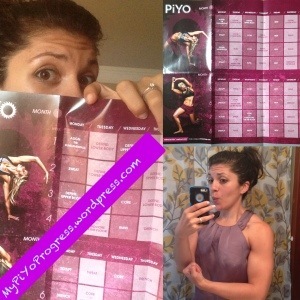 So we started PiYo over again! Here’s my personal account of the first workout after Align, Lower Body!!! First of all, this workout is only about 20 minutes!!! You don’t even have time to quit, because its so time efficient! Overall, its not an extremely difficult workout, I got a wonderful stretch and felt the strength working while moving through the dynamic moves. Lots of warriors, downdogs, lunges, and variations on those exercises in this workout. You will definitely feel it in those legs! I think this workout delivers on starting the program out for everyone to find success. The beginner feels confident (and having Chalene work w the modifier in the video, as well, helps to show those modifications for anyone new to working out), and the more advanced exerciser gets a little sweat and a big stretch. Watch out for my reviews of the next workouts!!! 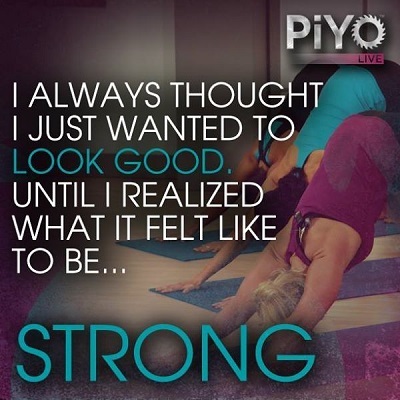 This entry was posted in PiYo and tagged exercise, fit, fitness, fitspo, gethealthy, health, healthy, inspiration, journey, legday, legs, lowerbody, motivation, pilates, piyo, results, training, weight, weightloss, workout, yoga on July 2, 2014 by AngelinaFitness.